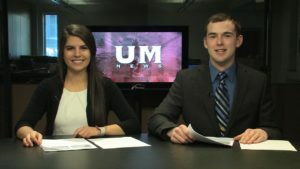 Today on UM News, we discuss the New Neighbors refugee documentary project in Missoula. On campus, we cover a tech-savvy piece of student art, a Native American student group fundraising for the 50th annual powwow, and a nationwide event called Up Til Dawn that visited the school. This show is produced by Aunica Koch and directed by Alex Kim.